Kindling was spun out of the New York City based consulting firm Arc90. Getting employees to actually submit ideas into innovation management software may be an issue for some enterprises. But for others, idea overload is the real issue. Kindling, a SaaS innovation management vendor, learned that executives at two of its major corporate clients stopped using Kindling because they were overloaded with ideas. 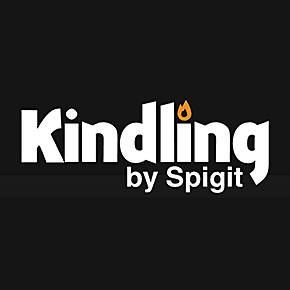 Kindling is trying to change that by introducing a new feature: an idea recommendation engine. Although innovation management has been around for years, pioneered by companies like Imaginatik, interest has accelerated recently. We recently identified three key trends in idea management, but the are continues to, well, innovate. Kindling's recommendation engine starts off with a short questionnaire aimed at determining users' interests - it's similar to the ones presented when you start using Netflix or Hunch. Users can opt to answer only a few questions or continue to answer many questions. Users can display the reason a particular idea was suggested and downgrade certain selection criteria to improve Kindling's recommendations. Although the recommendation engine's utility remains unproven, Kindling product manager Tim Meaney is optimistic that this transparency and feedback mechanism will help make it very smart very quick. Other new features include a redesigned backend and support for user groups. Existing features for organizing ideas include the ability to list ideas by popularity, votes, number of comments, the "Ideas I'm Watching" section that allows users to follow the comments and activity on particular ideas, and a highly configurable e-mail notification system. Kindling can act as a stand alone solution or integrate with Microsoft's Outlook and SharePoint. Users can export ideas to Excel, or use the application's API to export ideas in a variety of ways. "We don't feel entitled to your data," Meaney says, "If you decide to leave Kindling at any time, you can bring your data with you - we won't keep any of it."